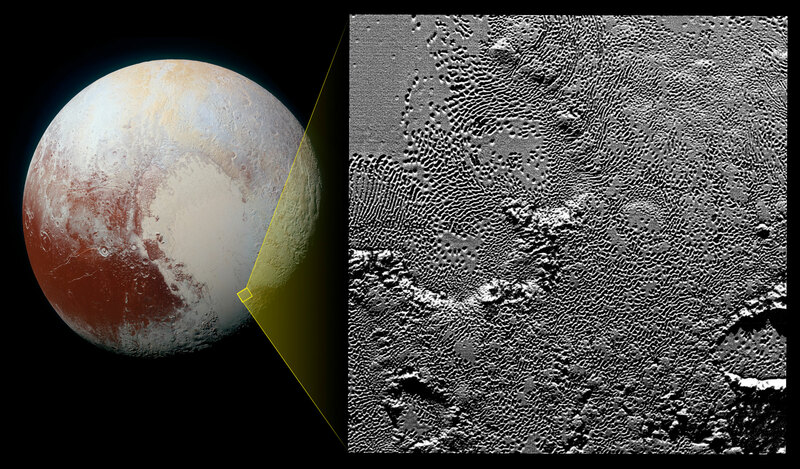 On July 14 the telescopic camera on NASA’s New Horizons spacecraft took the highest resolution images ever obtained of the intricate pattern of “pits” across a section of Pluto’s prominent heart-shaped region, informally named Tombaugh Regio. Mission scientists believe these mysterious indentations may form through a combination of ice fracturing and evaporation. The scarcity of overlying impact craters in this area also leads scientists to conclude that these pits – typically hundreds of yards across and tens of yards deep – formed relatively recently. Their alignment provides clues about the ice flow and the exchange of nitrogen and other volatile materials between the surface and the atmosphere. 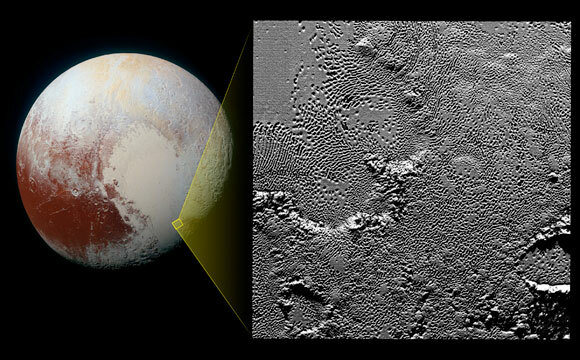 Be the first to comment on "New Horizons Zooms in on Pluto’s Heart-Shaped Region"